At Juvent, we envision a future where everyone can enjoy stronger bones, reduced joint pain, and enhanced stability using our patented micro-impact technology. Juvent was founded and led by Jack Ryaby, renowned medical device pioneer, visionary, and expert in bone growth stimulation. Jack developed magnetic bone growth stimulators and founded EBI, a famous medical device company that has helped thousands heal from fractures. He later founded Exogen which used ultrasound to heal fractures. Both the magnetic and ultrasound worked very well when focused on small areas of the body. Exogen became aware of the Juvent technology, which worked on the whole body and began its commercial development. Exogen was sold to Smith & Nephew a large orthopedic company who chose not to development of the Juvent technology. Ryaby assembled his team of experts from his earlier bone growth successes and millions in research and development funds and jumped at the chance to acquire the technology back from Smith & Nephew and Juvent was born. Now the subject of numerous studies and clinical trials that confirm the amazing medical benefits, Juvent has won the support of clinicians and consumers, from sports legends like Ray Lewis, Mats Wilander, Mike Bryan, and David Leadbetter, to thousands of everyday users seeking a safer, easier, and more effective way to rejuvenate and reinforce their bodies. At Juvent, we take pride in supporting our partners and users. As one of the few non-pharmaceutical members on the Corporate Advisory Roundtable of the National Osteoporosis Foundation (NOF), we offer a non-invasive way to promote bone health and relieve pain without significant side effects. 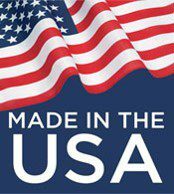 All Juvent products are developed and manufactured in the USA.